We offer a wide variety of valves which are well known for their superior quality, separation features and paramount sealing. The valves go a long way to control the accumulation of fluids and ensure that there is no accumulation of fluids out of them. 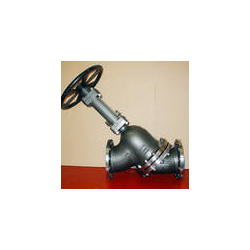 The valves manufactured by us include butterfly valve, non return valve, globe valve, gate valve. 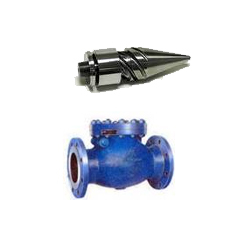 The valves are mostly used in oil, gas and power industries. 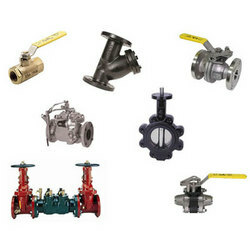 We manufacture a wide range of Valves which are known for its isolation characteristics and excellent sealing. These valves are used for controlling fluids and help in preventing the migration of the fluids out of the valves or other valve mechanisms. Our range of diaphragm valves makes use of a valve shoulder and a resilient diaphragm which engages a valve seat and helps to prevent the fluid to flow from the vale seat. Our clients can avail from us a wide assortment of gate valves, which is specifically designed to be used in pulverized coal mills at coal-fired thermal power plants. The uni-directional hard faced full port bore of knife gate valve can easily withstand the erosive flow of pneumatically conveyed fine coal to the boiler. 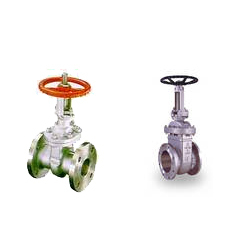 Our range of globe valve body is comparatively bigger in size and is used to handle more pressure. We have been appreciated by our clients for its features such as dimensional accuracy, precise functioning and durable. Our quality assistants check these globe valve body on well-defined parameters to ensure that these are at par with industrial quality standards. 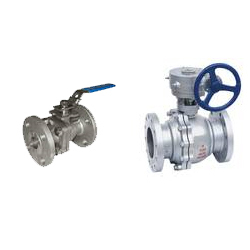 We are instrumental in offering Ball Valve (2-Way Ball Valve). These high pressure block type products restrict the flow of liquid in both directions. The ball moves from open to closed switching position by a spindle, when control is turned. In order to avoid damaging the sealing cups, these products remain fully closed or opened. A butterfly valve is a rotary motion valve. 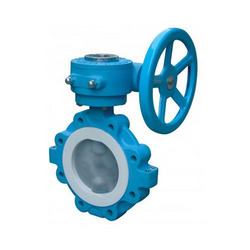 The main purpose of butterfly valve is used to stop, regulate, and start fluid flow. This type of valve is easily and quickly operated because there is a 90 degree rotation of the handle which moves the disk from a fully closed to fully opened position. Butterfly valves are available in various sizes and materials. We specialize in offering a qualitative range of Non Return Valve (NRV) which meets the requirements of our customers accordingly. These are manufactured employing premier quality raw material like mild steel, which improves the performance of the product. These valves are ideally designed to prevent undesired backward flow of muddy, sandy & clear water, sewage, waste water, viscous liquid, paper stock and slurry.